Experimental work from the last decade has highlighted the importance of many signaling molecules that mediate the transduction of synaptic signals to transcriptional regulation in the nucleus at different levels. A pivotal role within the framework of synapse-to-nucleus communication has been attributed to the regulation of intracellular Ca2+ levels. Several studies from recent years have shown that activity-dependent gene expression crucially depends upon neuronal Ca2+-signaling and that the dynamics and spatio-temporal characteristics of Ca2+ signals determine the type of transcriptional response. Albeit nuclear Ca2+ concentrations seem to be one crucial transcriptional regulator, synaptic activity may elicit Ca2+ transients that are confined near the site of entry but are capable of regulating gene expression. Within such Ca2+ microdomains the rise of Ca2+ levels downstream of synaptic activation can be conveyed to the nucleus by several different mechanisms and it has been shown that synapse-to-nucleus signaling from these domains propagates to the nucleus independent of global increases in Ca2+-concentrations. Several different mechanisms have been proposed to account for the prominent role of Ca2+ signaling for transcriptional regulation. Such mechanisms include a Ca2+ dependent translocation of the transcription factor itself, as it has been shown to occur for the nuclear factor of activated T-cells (NFAT) family of transcription factors3. Upon opening of voltage dependent L-type Ca2+ channels NFAT rapidly translocates from the cytoplasm through the nuclear pore complex into the nucleus3. The nuclear import depends upon a calcineurin-mediated dephosphorylation of NFAT, which in turn unmasks a variety of nuclear localization signals (NLS) (Figure 22.1A). Another well established Ca2+ activated transcriptional event is the synaptic-activity dependent phosphorylation of the transcription factor Ca2+-/cAMP responsive element binding protein (CREB). In this case, a slow and a fast Ca2+ pathway has been postulated to converge in the nucleus at the same target molecule, leading to the phosphorylation of CREB at the serine residue-133 and thereby rendering CREB transcriptionally active (Figure 22.1A). In both pathways N-methyl-D-aspartate receptors (NMDARs) and L-type Ca2+ channels constitute the upstream activators for the signaling pathway regulating nuclear CREB phosphorylation4-7. Interestingly, elevations of intracellular Ca2+ levels from other sources like intracellular Ca2+ stores or P/Q- and N-type Ca2+-channels are ineffective to trigger the crucial phosphorylation of CREB at Ser-1334. Moreover, despite nuclear Ca2+ elevations have been frequently observed in response to strong neuronal activation, elevation of nuclear Ca2+ levels was found to be insufficient to trigger CREB phosphorylation at Ser-133 in some studies4 but not in others8. Two pathways have been suggested to transduce the Ca2+ signal (for review see ref. 5). A key event in both pathways is the binding of Ca2+ to the Ca2+-sensor protein Calmodulin (CaM) (Figure 22.1A). Following synaptic activation, the fast pathway is transduced via the CaM-dependent kinase (CaMK) cascade, whereas the slow pathway requires the activation of the mitogen activated protein kinase (MAPK)-cascade (Figure 22.1A). 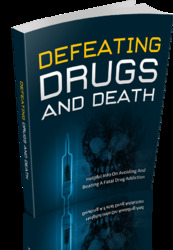 At present the status of the fast pathway is still under debate. Both pathways converge on the largely nuclear CaMKIV, which in turn seems to be responsible for the activity-dependent phosphorylation of CREB in neurons. In its Ca2+-bound state CaM has been proposed to translocate rapidly to the nucleus in at least certain neuronal cell types (for review see ref. 5), where it subsequently binds to CaM-dependent protein kinase and activate CaMKIV (Figure 22.1A). This, however, only leads to a transient phosphorylation of CREB. For sustained transcriptional activation the slower MAPK pathway has to be activated by a yet to be identified mechanism (Figure 22.1A). The role of CaM in this process is still unclear. A third type of Ca2+-controlled transcription mechanism has been characterized in recent years where the free Ca2+ transients after neuronal excitation are directly coupled to Ca2+ binding of the nuclear EF-hand calcium binding protein downstream regulatory element antagonistic modulator (DREAM). DREAM is a transcription factor that under resting conditions is bound to a downstream regulatory element (DRE), which acts as a repressor or gene silencer in genes like prodynorphin9. Elevation of nuclear Ca2+ and Ca2+-binding of DREAM leads to a dissociation of the protein and subsequent activation of gene expression9. It was shown recently that Mg2+ binding at the EF-hand 2 structurally bridges DREAM to DNA targets whereas the Ca2+-induced protein dimerization via Ca2+-binding to DREAM's EF-hands disrupts DNA binding10 (Figure 22.1A). Although this mechanism appears to be surprisingly simple, a number of questions still remain to be answered. These include: how is nuclear and extranuclear localization of DREAM regulated? Are synaptic signaling events coupled to the transcriptional repressor role of DREAM? And by which mechanism this could feed back to the synaptic function, if at all? Figure 22.1. Neuronal Synapto-Nuclear Signaling Pathways. (A) Ca2+ is an important messenger in neuronal signaling and regulates transcription in several ways. Ca2+ binding to the repressor DREAM releases the transcription factor from its regulatory element, thereby permitting transcription. Transcription factors of the NFAT family translocate directly from the cyto-plasm into the nucleus upon the opening of VDCC. This process depends on the dephos-phorylation of NFAT by calcineurin and the unmasking of the NLS. Phosphorylation of CREB results from the activation of different pathways, which converge on CaMKIV. (B) Activation and nuclear translocation of NF-kB are also controlled by Ca2+. Phosphorylation of IkB leads to the dissociation of the inhibitory subunit from the NF-kB complex and the subsequent degradation of the subunit. (C) In response to synaptic activity, some synaptic transmembrane and scaffolding proteins are cleaved via a specific proteolytic activity. 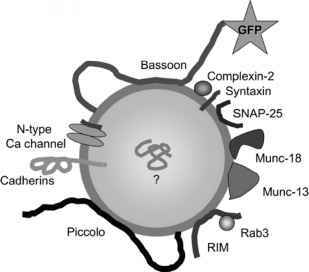 The resulting intracellular fragments are imported into the nucleus in part with the help of importina, and regulate transcription of numerous synaptic proteins by binding to other transcription activators.